A one of a kind. 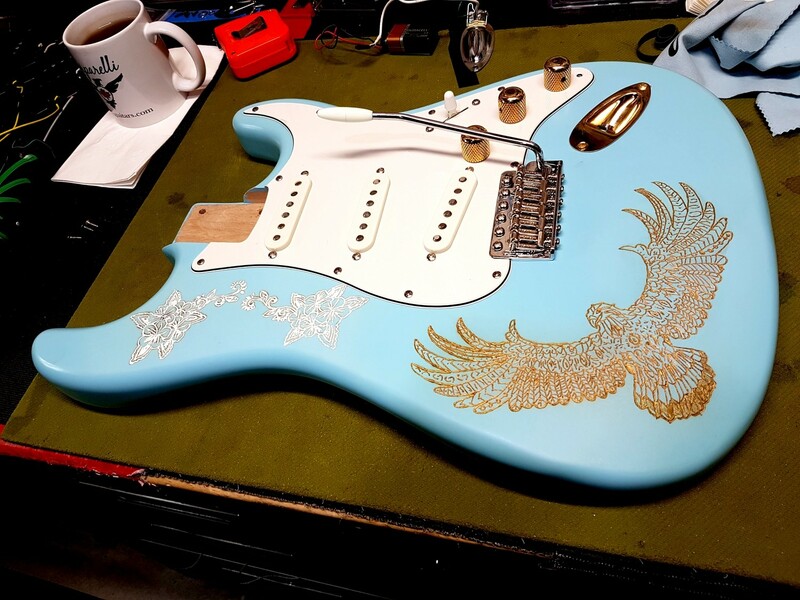 Beautiful Sonic Blue Satin Nitro Finished Body. Hand engraved Eagle and Roses filled with a special lacquer gold paint for the Eagle and White for the Floral. Alder 2 pcs , SSS config, Nitro Satin Finish. Wilkinson 6 hole Chrome Vintage Saddle Bridge.